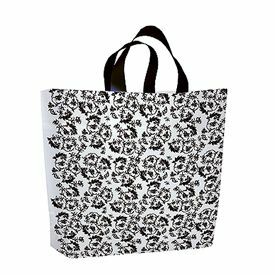 The glossy and shiny exterior of these bags is sure to sway your customers off their feet with how incredibly stylish these reusable bags look. 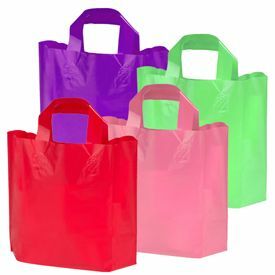 Anything you keep in them will also be safe. 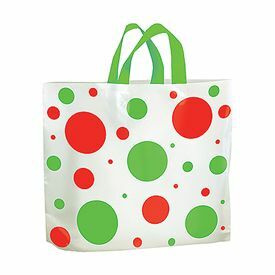 Now showing the options for "1.75 Mil" and "1 Color 1 Side - Flexograph Print"
12 X 11 + 3"
15 X 16 + 4"
18 X 19 + 4"
21 X 18 + 6"
The Custom Ameritote Super Gloss Bags are the new pop culture for their appealing aesthetics and for generating the right uptown vibes. 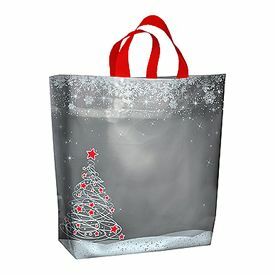 Boasting a high quality custom design, a unique attachment of gussets to allow the bags to stand on their own and a set of soft, supple handles attached makes this new, chic plastic bag the modern day trend-setter as well as every shopper's need. 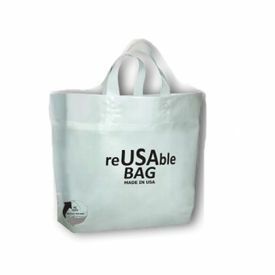 With a capacity to hold more than 20lbs, these environment friendly bags have truly outdone themselves. 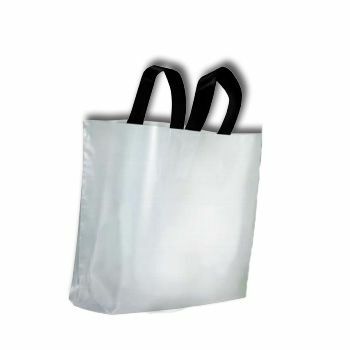 The Ameritote super gloss bags are available in various sizes, to meet your needs.